It’s been almost two months since I shared some chocolate and peanut butter love with you. You know I love that combination, but I do try for a bit of variety around here. Recently, the good people of Justin’s sent me some of their amazingly delicious peanut butter cups in their new 100 calorie packs. After sampling one or a few, I thought I should put them to good use in a dessert. With warmer weather sneaking in here, I thought it was not a bit too early to start icebox pie season. 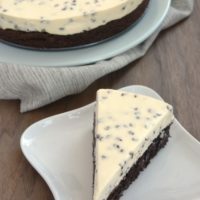 My mother used to make a chocolate icebox pie that I absolutely loved. I just knew that it was the perfect vehicle for those peanut butter cups. I couldn’t find her recipe, but I felt pretty confident about recreating a reasonably similar version with a few changes. First of all, I altered the traditional graham cracker crust with a little bit of peanut butter. 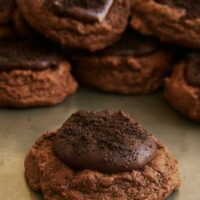 With all that chocolate filling, the little extra taste of peanut butter really stands out. Then, of course, I mixed some chopped peanut butter cups into the filling and tossed some on top of the pie for good measure. I am a big fan of icebox pies in general, and this one did not disappoint. 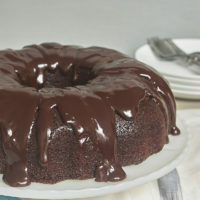 The chocolate filling is cool and creamy. 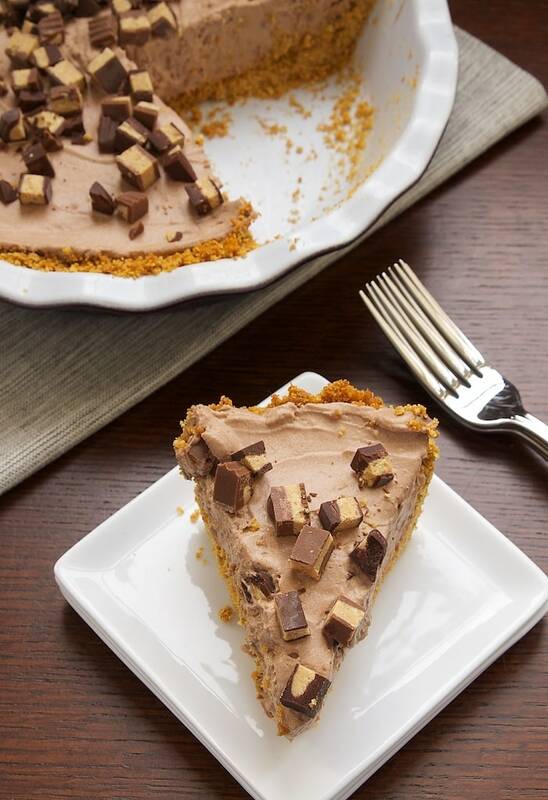 The peanut butter cups give the pie a lot of flavor. And, who doesn’t love eating cold peanut butter cups? 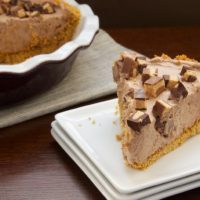 Chocolate-Peanut Butter Cup Icebox Pie is a sweet celebration of all things chocolate and peanut butter! Preheat oven to 350°F. Lightly grease a 9-inch pie plate. 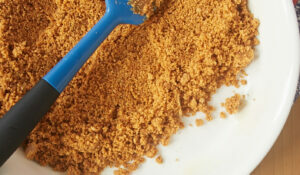 Combine the graham cracker crumbs, sugar, peanut butter, and butter until combined. Add water, 1 tablespoon at a time, until the mixture holds together when pinched. Press the mixture into the bottom and up the sides of the prepared pan. Bake 10 minutes or until the edges of the crust are lightly browned. 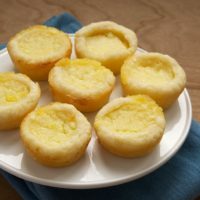 Using an electric mixer on medium speed, beat the cream cheese and sugar until fluffy. Mix in the vanilla. Add the milk in three portions, alternating with the cocoa powder, and mix until combined. Begin and end with the milk. In a large bowl, beat the whipping cream with a whisk or with an electric mixer with the whisk attachment. Whisk until soft peaks form. Gently fold the whipped cream into the chocolate mixture. Gently stir in the chopped peanut butter cups. Transfer the filling to the pie crust. Spread evenly and smooth the top. Garnish with peanut butter cups. Refrigerate at least 6 hours. Alternately, place in freezer for at least 4 hours. 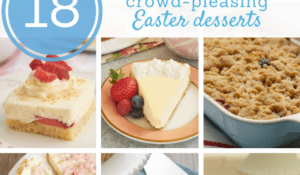 For an even quicker dessert that’s no-bake, use a pre-made graham cracker crust. You can also use 2 cups of whipped topping if you want to skip the cream whipping step. Disclosure: Justin’s provided me with samples of their products. No other compensation was received. All opinions written are my own. 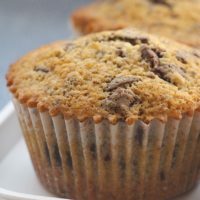 Oh, this looks so delicious! Perfect for summer. I have seen the Justin’s pb cups @ my local Fesh Market and have taken their individual pb pkg to work for a snack-attack time. An ice-box pie makes perfect sense for a single-person household, too. YUMMM! This is PERFECT for the heat wave we’re currently having! This looks like perfect relief for the summer heat. And, yes, who doesn’t love cold peanut butter cups. I know i do! Hmmm maybe I need to beg Justin’s to send me some of these because I LOVE their products! This icebox cake sounds out-of-this-world good. I love how you put peanut butter in the crust! 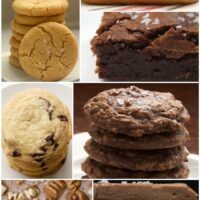 This looks like the perfect way to satisfy my peanut butter/chocolate cravings! Yum! Mmmm…chocolate and peanut butter is my favourite flavour combination! I love that this is no-bake. My oven’s been on way too much in this hot summer heat. Your pie looks amazing! 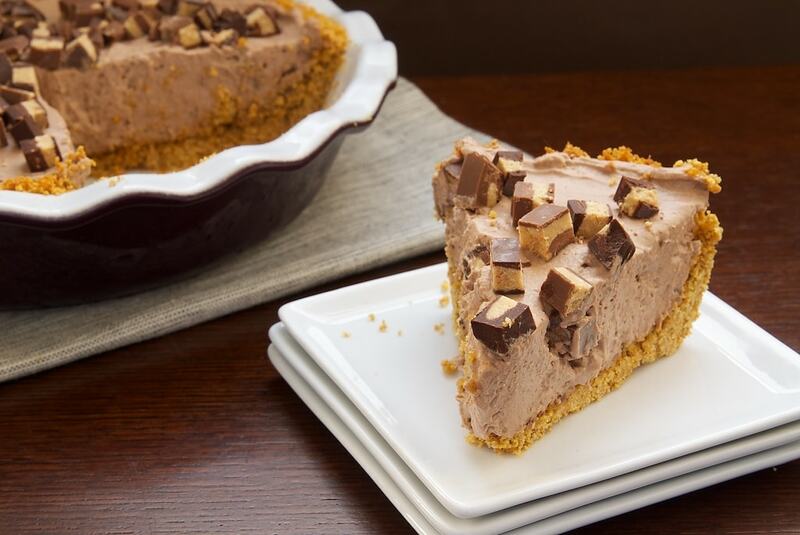 What could I ask for more : Chocolate + Peanut Butter + Ice + Pie?! I’m a huge PB and chocolate fan too! I should make more pies, they are the best dessert. Thanks for the recipe, I’m inspired now! Well this is just genius. Why did I turn my oven on the other day to bake pie when I could have made this? Peanut butter pies are definitely one of my favorites. 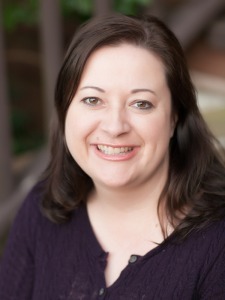 And especially awesome that they are no bake! 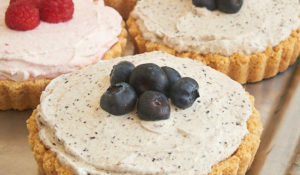 I love icebox pies, and this is such a classic combination. Looks great!